Today I’m sharing a fun Retro Ski Lady Image! 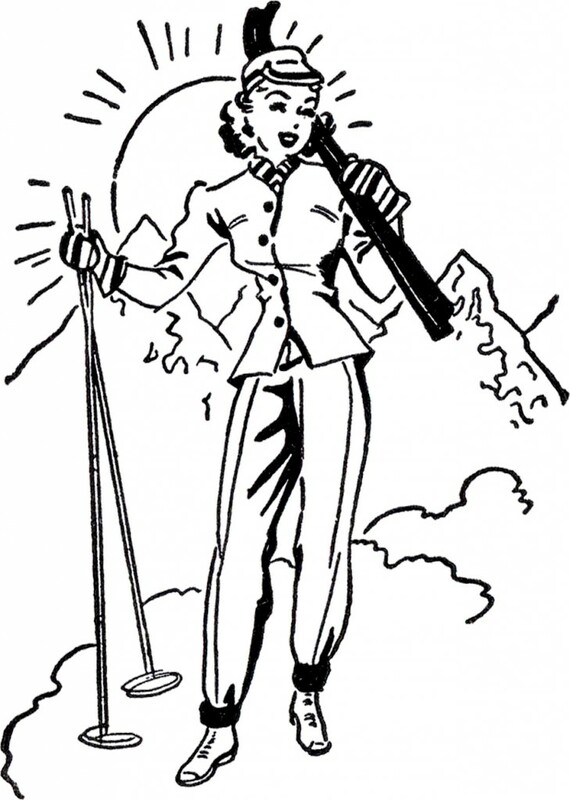 Shown above is a Black and White Illustration of a lady dressed in her cutest Ski clothes and ready to hit the Slopes! This one was scanned from a recent addition to my collection, an old Circa 1941 Printer’s Catalog. The Catalog does not appear to have ever been copyrighted, as there is no copyright mark on it.